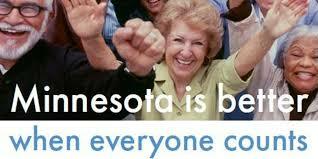 As we are just weeks away from the annual Great Minnesota Get-Together that brings together countless Minnesotans, we are also aware of the efforts underway to ensure that all Minnesotans count. 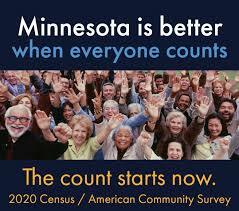 Specifically, local organizations are working to ensure a complete count as part of the 2020 Census. See below for the action alert and submit your comment by the close of the public comment period on August 7 to ensure ongoing support for our Minnesota schools, transportation, healthcare, small businesses, housing, etc., as well as full representation for our communities. And for those futurists interested in 2020 and beyond, consider the "Communities of the Future (COTF) Fellows" program, which seeks to introduce the knowledge and skills of a 'master capacity builder' - transformational leadership for an age of constant change. Contact Rick Smyre for more details. TCRG Brown Bag: "Contradictions of Belonging: The Educational Aspirations and Agency of Youth in the Somali Community"
The community of the future is a wonderful show!